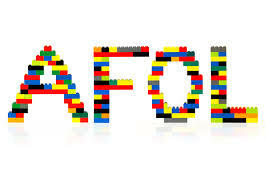 AFOL refers to those adult hobbyists who build with or collect LEGO®. Our Bricks 4 Kidz Creativity Centres are an ideal venue to both build and socialise! Adult Fan Of LEGO® or AFOL refers to those adult hobbyists who build with or collect LEGO®. Quite often AFOL’s played with LEGO® as children, went through what are called dark ages, in which their interest in LEGO waned, but then regained their enthusiasm for the hobby. There are thousands of AFOL’s in Ireland and our Bricks 4 Kidz Creativity Centres are an ideal venue to both build and socialise. Bricks 4 Kidz arrange occasional events specifically for adult fans of LEGO®. For more inforamtion, contact us today!